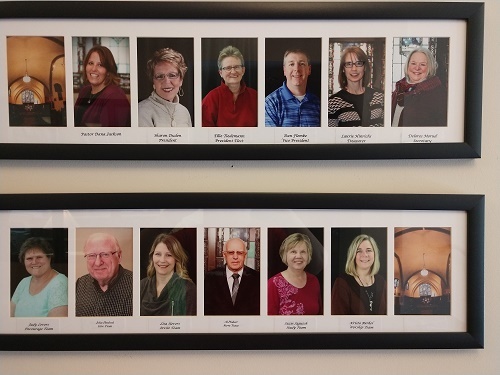 We work together to further the ministries of St. Paul's Lutheran Church in Red Wing, MN. In our desire to share the Gospel with all in our community and in the world, we are committed to stimulating evangelistic efforts in all dimensions of the life of the church and equip all of our members in their work of spreading God's love. Evangelism, outreach and hospitality are some of our primary concerns. Plan and administer a comprehensive program of Christian education for the entire congregation in order to promote growth in understanding of what scripture teaches concerning living out our faith. Responsible for appropriate nurture and support for St. Paul's youth and their families. This includes an overall attempt to help youth grow in providing, sharing and receiving ministry, inside and outside of the congregation. Ensure opportunities for rich and meaningful worship experiences. Special music, varied liturgies, current technologies, occasional services and decorations in seasonal settings are some of our worship considerations. We were created in the image of a good and generous God. We will, therefore, strive to develop the practice of Christian stewardship among the members of St. Paul's by nurturing the desire to respond to Christ's call to give of our time, talents and treasure for the sake of the Kingdom of God. God so loved the world, and so should we. We will spread the Gospel by personal contacts and through existing ministries, increasing our commitment to social action, social education and social services. This is the connecting arm to the church at large (ELCA) and other benevolence programs supported by St. Paul's. The beautiful building and grounds of St. Paul's exist only to provide a place for members and guests to grow in their faith and discipleship. We will oversee our property resources by providing adequate and proper safeguards of physical assets, monitor building operations and support the maintenance of our building, grounds and facilities.